1920 - 1944 Under control of St. Paul Parish, Coburg. Parishioners had to travel to St. Paul's Church in Coburgh or St. Peter's church in Epping to attend mass. 1944 - 1964 Under control of St. Mark's Parish in Fawkner. Mass was held in the old wooden Craigieburn Hall. The hall was replaced with brick after the fire. 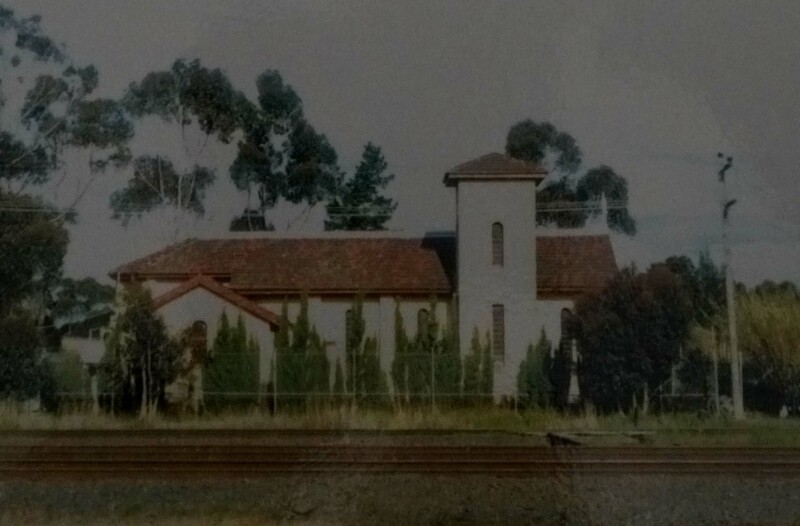 1949 September 25th - Oyr Lady of fatima church (Currently beside Hume Highway). Officially opened by Archbishop Mannix. 1964 - 1972 Under control of St. Matthew's Parish, North Fawkner. 1972 - 1984 Under the control of Holy Child Parish, Dallas. completed. Old church was too small, Mass now celebrated in the school compound. 1981 Parish name was changed to Our Lady's. Parish priest. Rented house in Wattleglen St which becomes Presbytery. 1988 Stage 3 of the School completed. Mass was celebrated in the school. May - Sod turning ceremony was held. June - New church building commences. Fr. Barry Cakdweld and fr. Tony Spierings. 1994 Our Lady's Parish celebrated their 10th year anniversary. 1996 Roxburgh Park School opened.